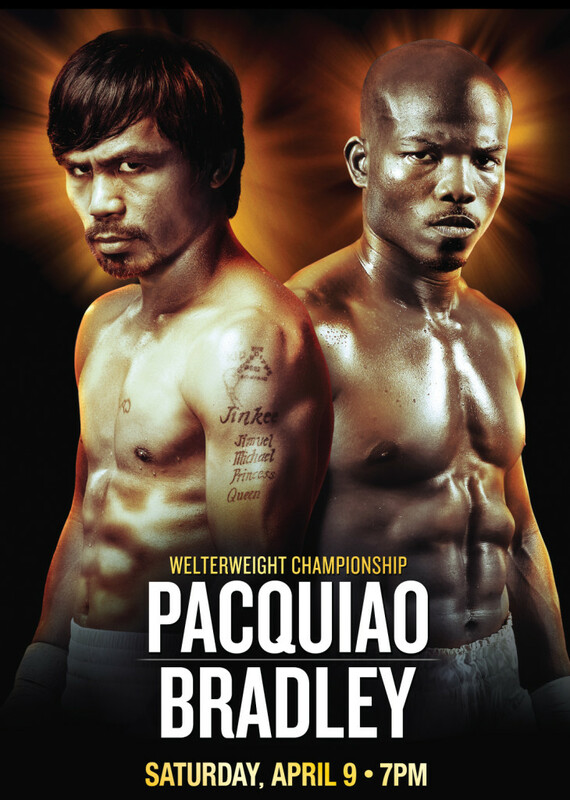 While it’s fair to say that the boxing world is not exactly on fire regarding next Saturday’s rubber match between Manny Pacquiao and Timothy Bradley, what is also true is that this is one of the best matches the sport can offer in terms of two elite talents facing off in a bout which could have significant consequences for the legacies of both champions. With Floyd Mayweather retired, Bradley and Pacquiao are justly regarded by virtually everyone as the two best welterweights in the world. Yes, they may be past their physical primes, but both have plenty to fight for, so fight fans can expect Pacquiao vs Bradley III to be a highly competitive showdown. To get you set, The Fight City is proud to offer Lee Wylie’s tactical overview of not just the upcoming fight, but the entire trilogy. By taking a close look at what transpired in the first two battles, Wylie then highlights what to look for in what will likely be the final chapter of this rivalry. 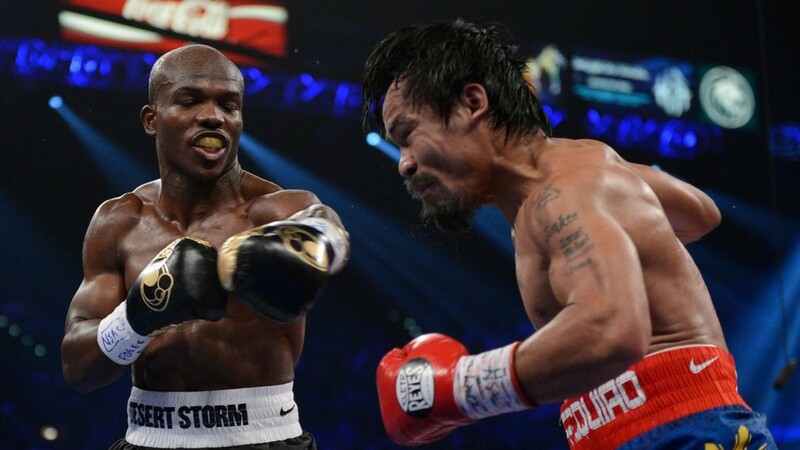 Fight I: Pacquiao was looking to catch Bradley with one of his signature attacks, a 1-2 combination which is usually set up with a low-line fake. The fake allows Pacquiao to bridge the gap, throw off the opponent’s timing, and create an opening. It is always aimed at the opponent’s midsection and typically brings down the lead hand; once it has, Pacquiao will abruptly change the direction of his attack, obscuring the opponent’s vision with a jab that conceals the straight left hand, which in turn scores on the resulting opening. But Bradley had done his homework. He used Pacquiao’s jab as a cue to remove himself from the line of fire in an attempt to nullify the Filipino’s left hand. Bradley, with upper-body movement and footwork consisting of slips, ducks and outside pivots, did just that. Despite what the HBO crew kept telling us during the live broadcast, Manny’s offense was not massively effective as Bradley was making Pacquiao miss, particularly with the straight left. In fact, I’d argue it was Bradley, also catching punches on his gloves and finishing exchanges with some overlooked counter-punching, who was slightly more effective in many of the rounds. Far from typical southpaw behaviour, Pacquiao will often move diagonally backwards and to his left in the hope of both forcing his opponent to follow and expanding his attacking options. Believing he is in range to be hit, this tactic causes opponents to misjudge distance, allowing Pacquiao to capitalize once they fall short with an attack. Taking a page out of Juan Manuel Marquez’s book (Pacquiao and Marquez were three fights into their series at the time), Bradley did not follow Manny and instead maintained distance, moved to his left, and kept his opponent from establishing his preferred range and angle. No one would ever mistake Bradley’s jab for that of Sonny Liston or Tommy Loughran, or his movement with that of Willie Pastrano or Pernell Whitaker, but each served to keep Pacquiao at bay and prevent him from lining Tim up for his straight left. Bradley was also able to expose some of the problems with Pacquiao’s high guard covering tactics and inactivity on the inside. Whenever Bradley rushed him, Pacquiao retreated linearly and would simply apply the earmuffs, allowing Bradley to sometimes get off as many as three or four unanswered punches at a time. For instance, after stabilizing Pacquiao’s guard with a 1-1-2 combination (two pawing jabs followed by a low-contact, occupying right hand), Bradley would throw a hard left hook to Manny’s exposed body. Bradley generally looked like the busier, more effective fighter when he was throwing combinations and keeping Manny on the defensive. More than anything else though, Bradley’s “check” hook was perhaps his most effective weapon in their first meeting. 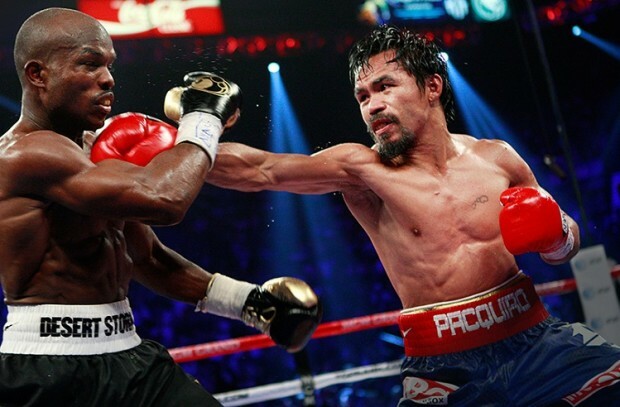 The straight right, which Bradley used to intercept Pacquiao on more than one occasion, is undeniably the most popular punch to use against a lefty, but a lead hook is just as effective, especially against southpaws, like Pacquiao, who occasionally overcommit when pressing the attack. Thus Bradley would time Pacquiao coming forward, clip him with a short hook, and then pivot out toward Manny’s weaker lead side, away from his more powerful left. Bradley never quite managed to quarantine Pacquiao’s left hand altogether, though. Following some threatening, side-to-side upper-body movement that often tempts opponents to throw a jab in defense, Pacquiao was effective when throwing his straight left as a premeditated counter. Hitting on the slip, just as Bradley threw his jab, Pacquiao timed his straight left to perfection. 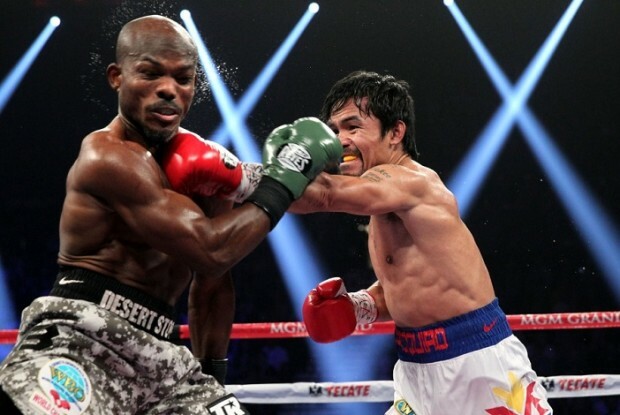 By transferring his weight over his lead leg and taking his head off-center, Pacquiao caused Bradley’s jab to slip over his rear shoulder, just as his straight left found the mark. Pacquiao’s elusive head position means his southpaw straight left will often trump an opposing jab thrown at the same time by an orthodox opponent. To minimize the risk of being countered, Pacquiao exits the pocket by ducking underneath and weaving out at an angle. As with most opponents, Bradley often found himself on the receiving end of another of Pacquiao’s signature combinations. After first raising Bradley’s gloves with the jab, Pacquiao’s subsequent straight left to the body caused “Desert Storm” to lurch forward. While Bradley was pulling his head back and re-establishing his stance, Pacquiao would drive a powerful right, preloaded and traveling from below the American’s field of vision, into his face. The seesaw nature of the attack creates havoc with the opponent’s defense. This same combination also proved problematic for Miguel Cotto, and even dropped the Puerto Rican in round 3 when he faced Pacquiao. Interestingly, Bradley was also susceptible to Pacquiao’s left uppercut at close range. Pacquiao’s creativity in setting up the uppercut was brilliant, and it is something that could feature again this time around, though we didn’t see the uppercut as much in their second meeting. Pacquiao collapsed Bradley’s guard by pulling down on his left arm with his right, thus creating an opening through the center for a left uppercut. Alternatively, he would use his right hook to get Bradley ducking into the uppercut. Fight II: Bradley certainly started brightly: a nice straight right coming off the jab; a perfectly-timed counter right that tagged and wobbled Pacquiao while he was moving out with his chin in the air; an understated body attack. All were working well but then Bradley seemed to suddenly lose focus. Instead of putting things together and setting up his offense, Bradley began swinging for the fences. Perhaps in the hope of landing that one-hitter quitter, à la Marquez? If this was indeed the case, Bradley should have known better. Marquez’s sixth round knockout of the Pacman was three and a half fights in the making. 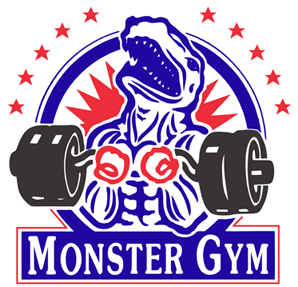 Marquez had Pacquiao’s tendencies and timing down pat, and that overhand right, drilled to ruthlessly exploit Manny’s signature attack, was something “Dinamita” had specifically focused on in training. Believing he could do the same with only 12 KOs on his ledger at the time and minus the analytical mind and counter-punching craft of Marquez, was wishful thinking from Bradley, to say the least. Once or twice Bradley tried passively goading Pacquiao into overcommitting, but rather than throw caution to the wind and potentially run into a punch, Manny remained disciplined and either attacked with intelligence or simply backed off. Bradley’s rather crude approach turned out to be counter-intuitive. 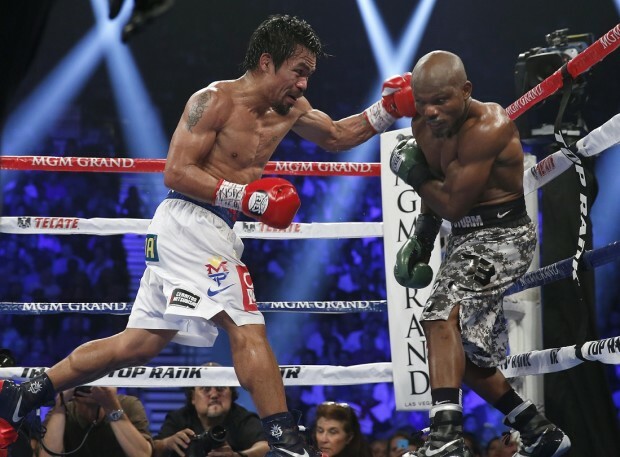 By moving his feet less and loading up on punches more, Bradley simply accommodated Pacquiao’s angular movement and counter-attacking style of boxing. Against a certain type of opponent, Pacquiao’s footwork, or more specifically, his foot speed, often gives him the positional edge, allowing him to seize the initiative and govern exchanges. Because Bradley was more stationary in this fight, the job of creating angles was made much easier for Pacquiao. Particularly of note was the way Manny used a less powerful straight left to merely occupy Bradley while angling out past his lead shoulder. Pacquiao would then launch a more committed attack from an improved position before Bradley could reset. It’s also worth noting that Pacquiao’s lead hook was on point in this fight and it served two purposes. First, Pacquiao used it to counter Bradley’s movement. As Bradley circled left, away from Manny’s left hand, Pacquiao used his hook to intercept him. And second, Pacquiao used his right hook to counter Bradley’s jab. 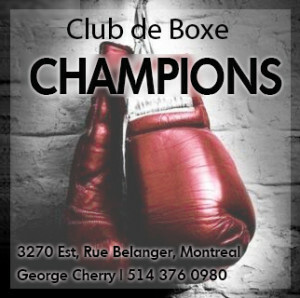 Just as a left hook by an orthodox opponent is a highly effective weapon against a southpaw, as both Bradley in the first match and Mayweather proved against Pacquiao, the same goes for a southpaw’s right hook against an orthodox opponent. 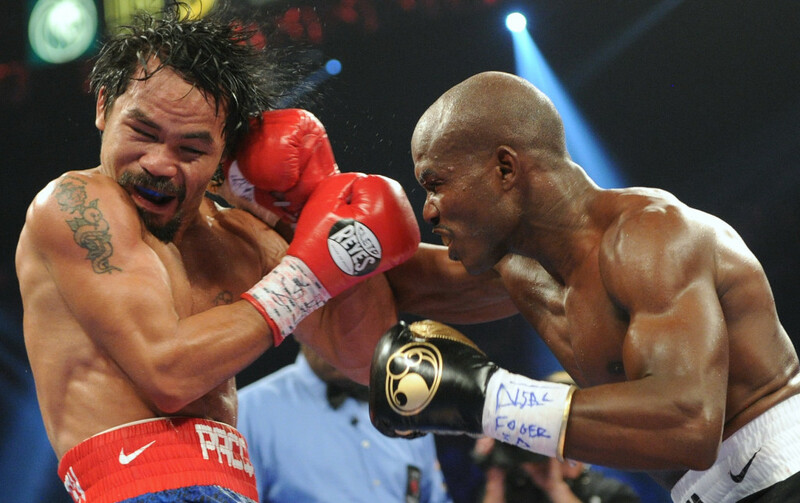 Pacquiao’s hook originated from a blind spot and was difficult for Bradley to see coming when looped over his jab. Fight III: Trying to guess what will happen next Saturday night between these two is turning out to be a real head-scratcher. 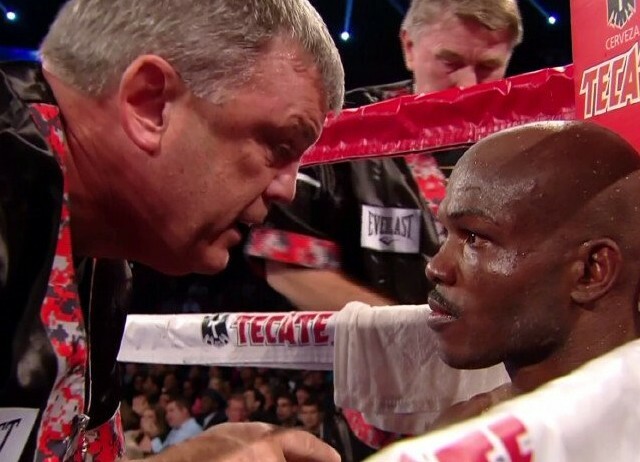 Much, I feel, will depend on the gameplans of trainers Freddie Roach and Teddy Atlas. Atlas will probably advise Bradley to move to his left and away from Manny’s left hand. And he’ll likely want Tim targeting Manny’s body when it is safe to do so, in order to bring his gloves down and take his legs away. Teddy will also want Tim to keep his punches tight, throwing no more than three at a time, and he definitely won’t want Tim standing tall and directly in front of Pacquiao. Instead of trading with Manny, Bradley’s new trainer will be advising him to get off one or two shots and then duck and weave out, or step over. The jab will be important for Bradley, even if it’s just to measure Pacquiao for the right hand or keep him occupied while looking to secure a dominant angle. The same holds true for the check hook. 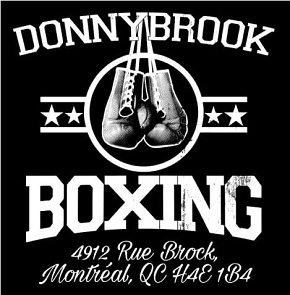 If Manny charges forward recklessly, which is something he has been known to do in the face of defensive boxing, then that shot, a lead hook thrown almost simultaneously with an outside pivot, will be there for him again and again. Just like Mayweather did, Tim will be able to time Manny coming forward, and then slide out the back door. Will Atlas play a pivotal role? Bradley suffered multiple foot injuries during both fights with Pacquiao, likely because of the way he was practically contorting himself to evade the Filipino’s attacks. Because it is difficult to react against someone with the hand and foot speed and unpredictable, stop-start rhythm of Pacquiao, I expect Atlas will want Bradley to streamline and be preemptive with his defensive movements. By anticipating his attacks and working to stay one step ahead of Manny, less movement is required and the chances are reduced of Bradley being injured again. For Freddie Roach, the last thing he’ll want to see is Pacquiao aimlessly following Bradley around the ring. Controlled, calculated aggression is key. If Bradley is boxing off the back foot, working behind the jab and circling to his left, Pacquiao must intercept his movement by stepping forward and laterally to his right. The right hook, which went missing against Mayweather (injury or no injury), will be needed to keep Bradley boxed-in and stop him from pivoting out to Manny’s weaker side every chance he gets. Bradley will no doubt be using his jab for various purposes, so it’s important that Manny has an answer for it. Roach will want Manny countering the jab, either with the lead hook over the top, or with a straight left down the middle. Contrary to what many will tell you, Pacquiao is actually at his best when countering the jab, which serves as a building block for everything else he does well (cutting angles, flowing into combinations, etc.). When he did this with full conviction against Mayweather in the middle of the ring—using upper-body movement and feints to draw out the jab before splitting it with his straight left and then angling out to his right—it worked. Roach must have Pacquiao tactically focused. Tactically, Roach must have Pacquiao dialled in for this fight. 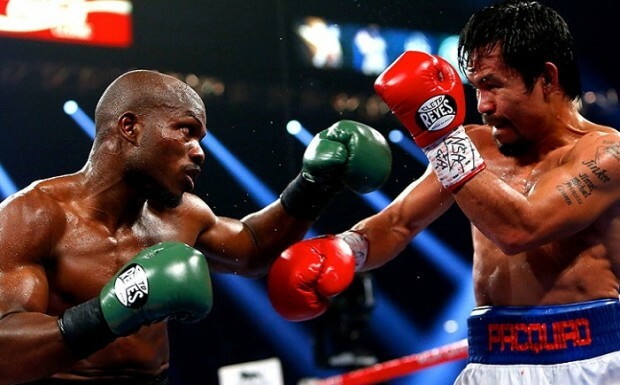 The more recklessly aggressive Pacquiao is, the easier it will be for Bradley to control him. Stylistically, Mayweather was always going to be a tough outing for Pacquiao, regardless of the gameplan, but I can’t help thinking Roach put too much stock into forcing Mayweather to the ropes and outhustling him. Pacquiao just isn’t as effective or as dangerous when applying pressure. As mentioned earlier, Pacquiao’s uppercut, set up by a lead hook, is possibly something to look out for. Bradley could wind up moving directly into a left uppercut should Manny be able to manufacture scenarios where Bradley is forced to bend forward or come in low from underneath. Similar to the mechanics involved when throwing his straight left (weight transferred over the lead leg, head off-center), Pacquiao’s overhand left, arcing undetected from a blind angle, is one of his most deceptively brilliant weapons. Though he used it occasionally against Antonio Margarito, the last time I recall Pacquiao throwing it with a real sense of purpose was against Ricky Hatton. Maybe it will resurface against Bradley, who can be coaxed into exchanges and will often flail away without taking his head off-center. Legacy is on the line. Pacquiao is not the same force of nature he was seven years ago, of that there can be no argument. Further, Manny hasn’t fought in almost a year, and that can’t be a good thing for a 37 year-old coming off an injury-imposed layoff. That said, provided he’s not completely finished (I’d be surprised if he was), a slightly eroded Manny Pacquiao is still likely among the world’s best prizefighters. No, Pacquiao didn’t look great in his last outing, but then again, with few exceptions, who truly has against Floyd? Bradley, meanwhile, apparently fighting with a new-found intelligence and discipline, seems rejuvenated since acquiring the services of Atlas. I do believe, however, that Bradley’s only opponent since changing trainers, Brandon Rios, was a shell of his former self and clearly inferior to the version Pacquiao easily outpointed three years ago. Nonetheless, Bradley remains a hard night’s work for any opponent, and I don’t expect that to change any time soon. The fight has been met with scorn by the vast majority in the boxing community, and yet I find myself fascinated. At the very least, it should be a captivating tactical affair. are you going to repost those videos you made breaking down the first and second fight. really enjoyed those two as well. Great Article. I think it’s Bradley’s time, but I am going for Pacquiao to pull out a win.